Everyone loves a tree. Trees give so much in so many ways. Trees lower outside temperatures, give great habitat for nature, exchange CO2 for Oxygen, and are just plain pretty. 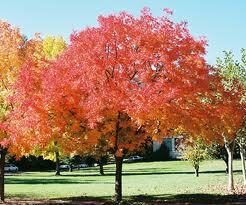 Choose wisely since it takes a long time for your tree to grow and become a great return on your investment. 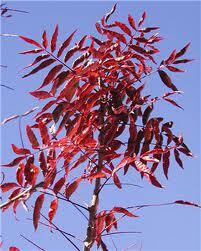 Chinese Pistache has moved to my top three tree picks for planting. Say that 3 times fast! Extremely heat resistant - The summer of 2012 proved to me that this tree thrived in the extreme. Other trees in the same location defoliated but the Pistache held its own. Plants in most soils - One loaction had about 20 juvenile Pistache in about 12" of sandy loam and solid shale under the loam. They look great. 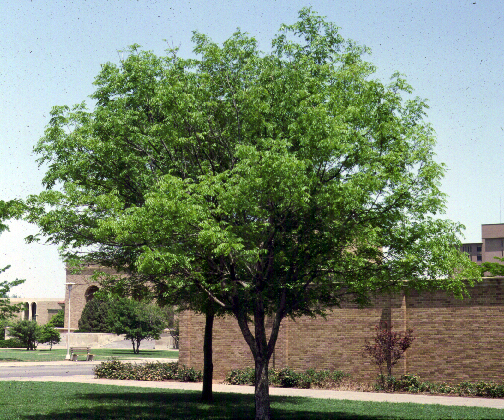 Drought resistant - Once established, this tree can go for several months with virtually no water. BONUS reasons - Small leaves so easy to clean up, small fruit for visual interest. Open & airy tree. Tolerates wet snow & ice fairly well. The only downside to Chinese Pistache is when the tree is small, it is a bit of an Ugly Duckling. The structure is very thin and open. But as the tree grows, it fills into a full canopy. At 4"-5" trunk diameter, this tree transforms in a Beautiful Swan! Don't be afraid of buying a small tree that looks a little scrawny. It WILL fill out. Last week, we installed 10 of Pistache trees as replacements for Red Maples that had sufferred two years of severe summers and sunburn. This was a no-brainer because the Pistache will thrive in this poor location. Undoubtedly, this will be a great investment and provide years of enjoyment. Take a look at our plant data sheet for more info. Call today or Click below for our special offer.